Splish-splash! Adora's BathTime Babies are the perfect 13" doll for the bath, pool or any water fun! 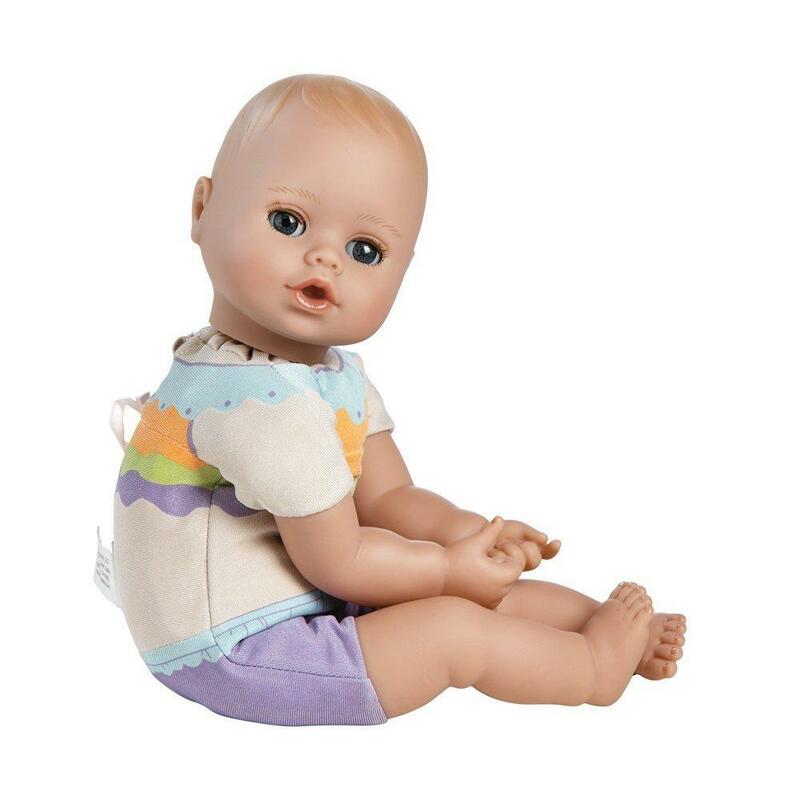 These huggable water baby dolls have a soft, cuddly body and fresh baby-powder-scented vinyl. 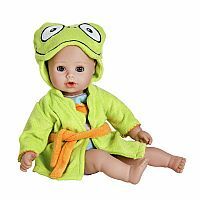 BathTime Baby Frog comes with their very own wash cloth and removable frog-themed bath robe over an adorable swimsuit-printed body. From their tiny little noses to their belly buttons, they are brimming with a blend of sweetness and love. This water toy has an exclusive QuikDri™ body that will dry in no time and be ready to play with again! 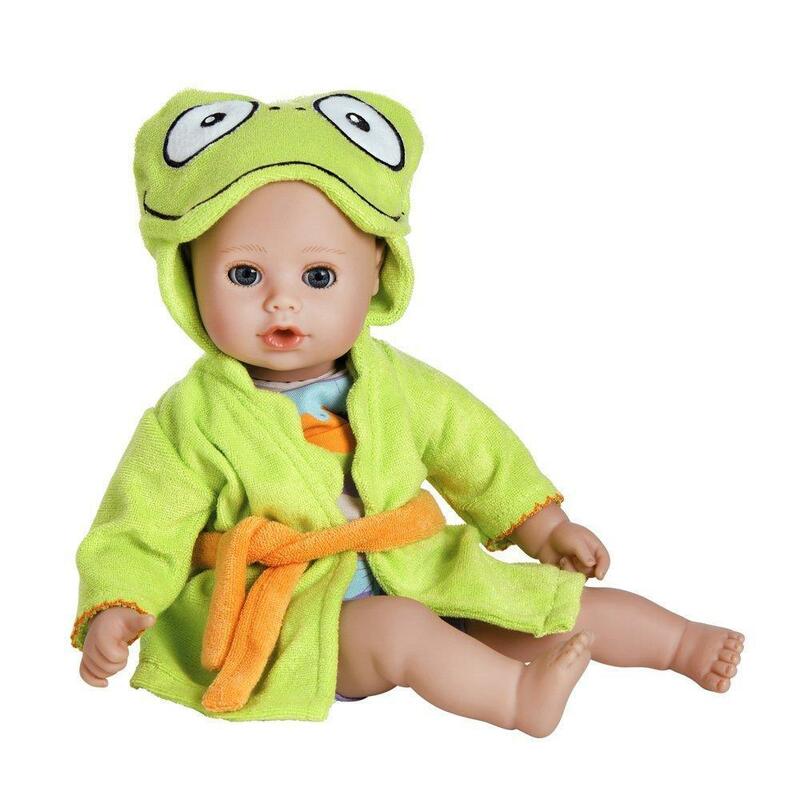 With their darling faces and delightful animal-themed bathrobes, this water baby doll will provide hours of nurturing playtime fun. Your little one will want to bring them to bath time, every time! 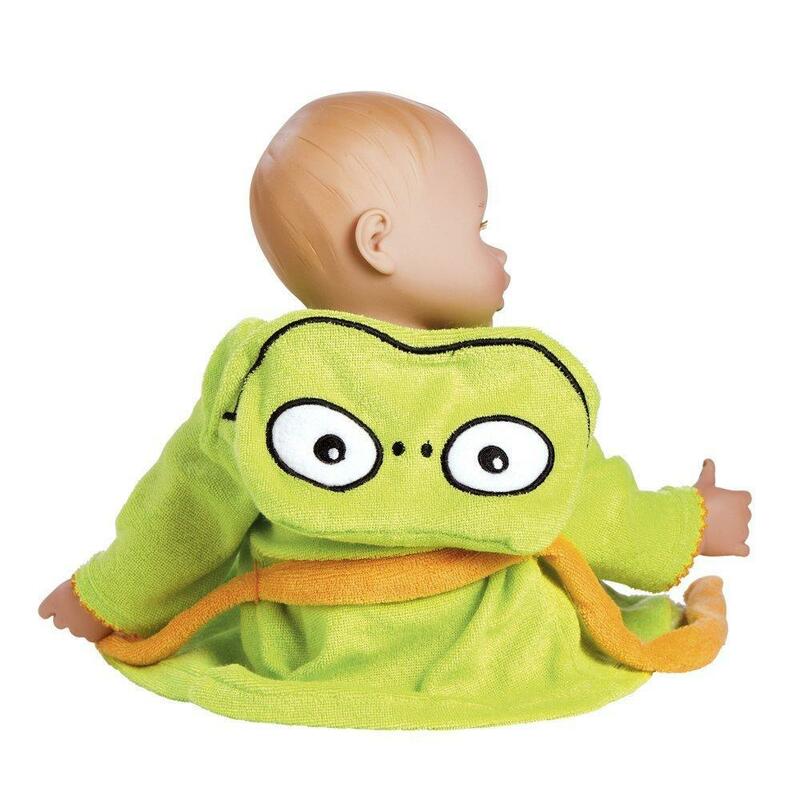 Best of all, they are 100% machine washable, so after a trip to the playground, beach, park or pool, wash them, lay them flat to dry and they’ll be fresh again! For ages 1+.